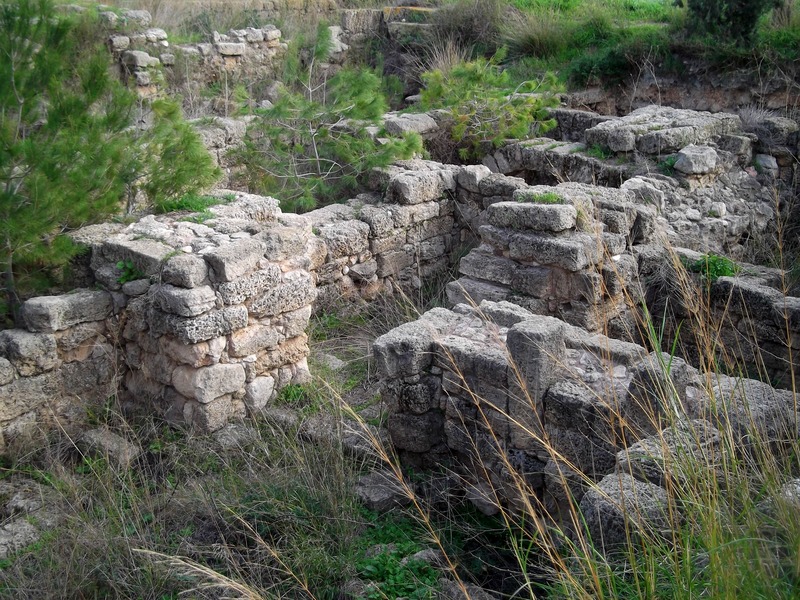 Walking along the trail, I noticed that there was more than just a wall to be seen – there was the ruins of Deir Qeruh, a Byzantine village. Something I hadn’t known before our trip, the name “Deir” signifies a Christian settlement (“deir” meaning monastery in Arabic), which carries over to today where we have villages such as Deir Hanna in the Galilee. 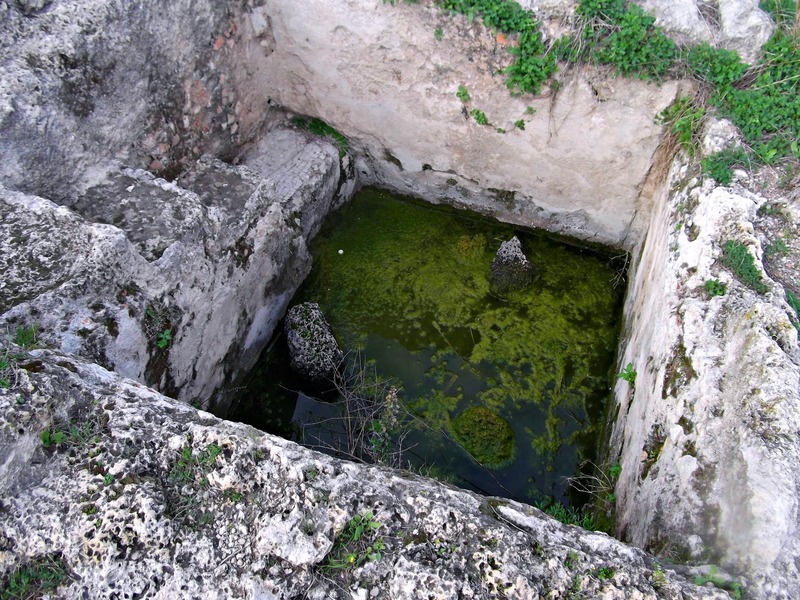 I examined the ruins, photographed and then we continued on to the Vulture Lookout. But before we reached the vultures there was the Gamla Lookout, with views of the ancient city ruins down below on the ridge. 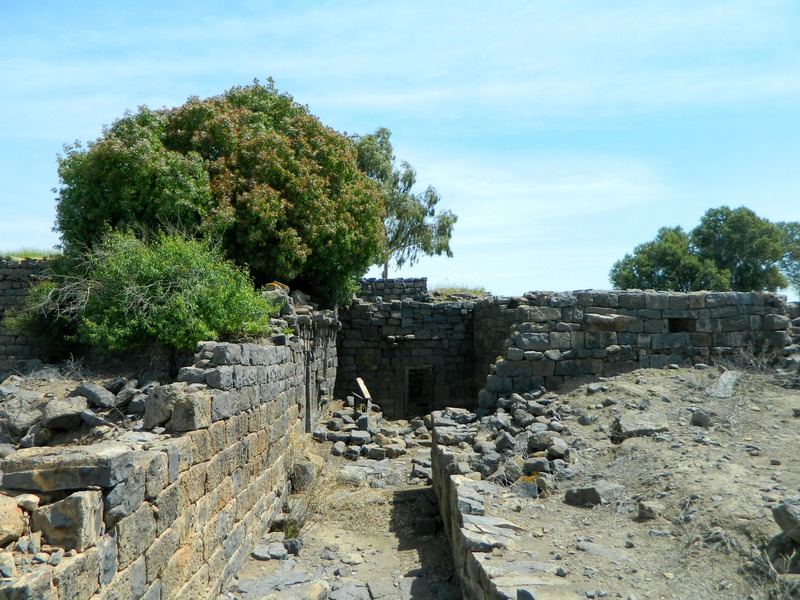 Gamla, the city, was built as a walled city dating from the times of Joshua, who led the Jewish People into the Holy Land. 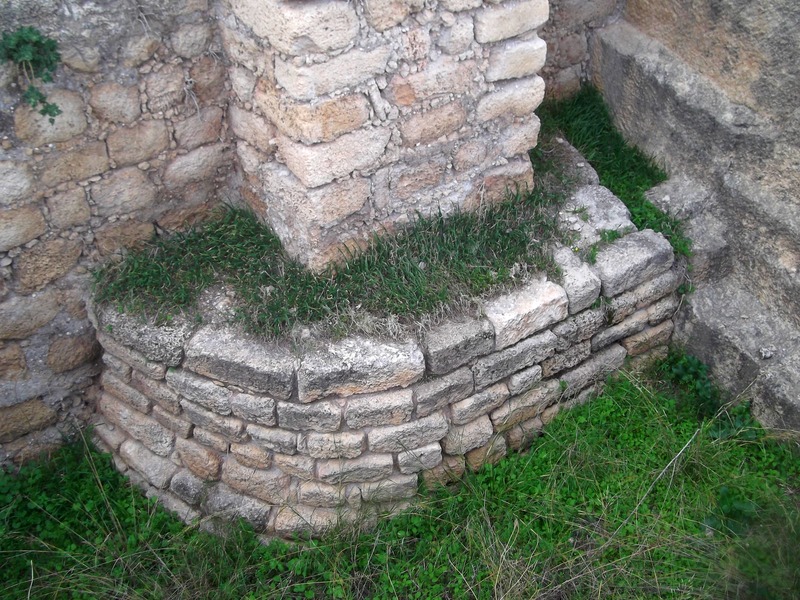 After capture the ruins were abandoned and then rebuilt during the Greek era. 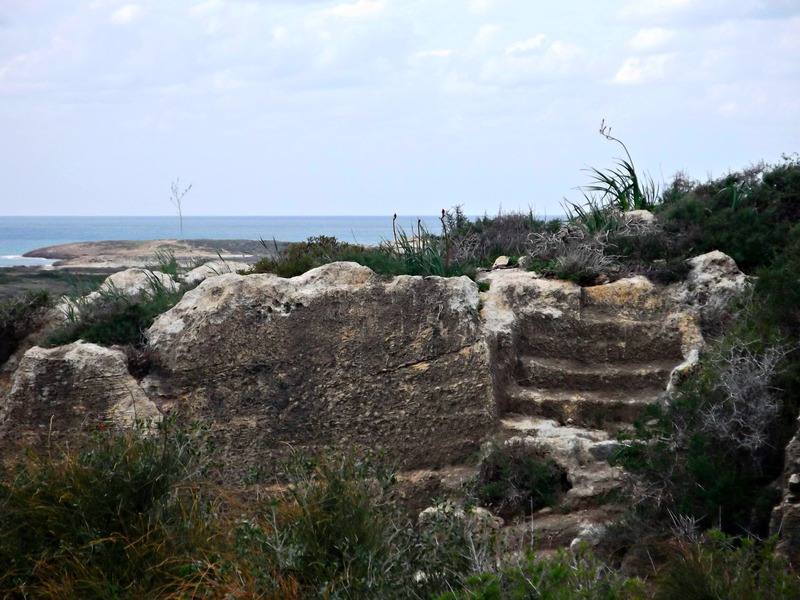 Due to the unique location of the city, being built on a ridge with only one entrance, it was named Gamla after “gamal” (camel in Hebrew), resembling the humped back, or so said Josephus. During the revolt against the Romans two thousand years ago the city was besieged by Herod Agrippa II who, subsequent to the failure of the siege, retreated. As a follow-up, Roman Emperor Vespasian brought an army over from Judea and laid another siege. 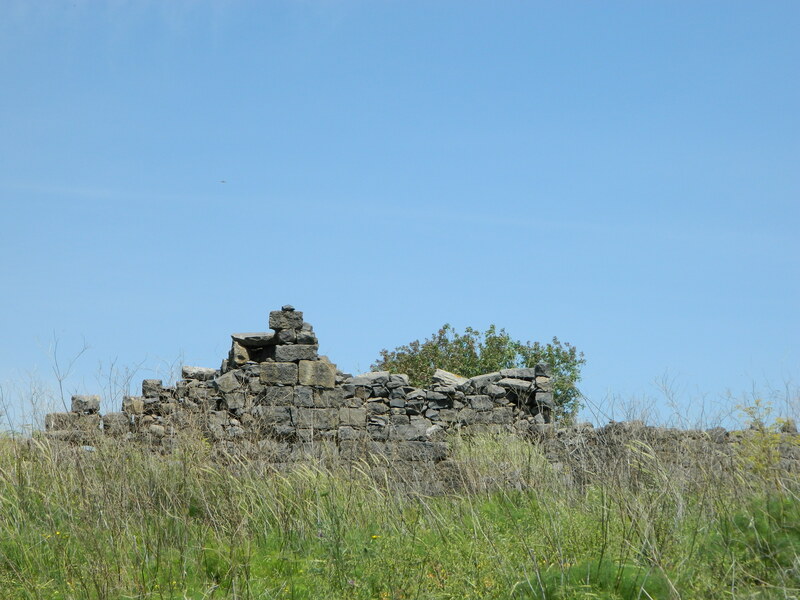 After a month they breached the walls of Gamla but were defeated in battle. Several days later, however, the Romans succeeded in conquering the city; killing the survivors and laying Gamla to waste. 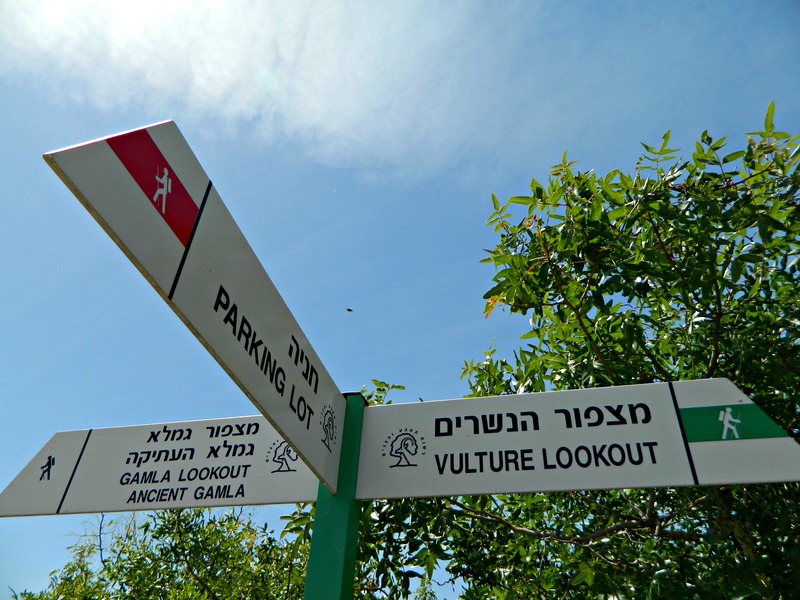 The city ruins were only discovered in 1968 and despite how interesting it looked, we decided against hiking down the steep mountain path to the ruins, and continued on to see the vultures. Standing at the Vulture Lookout I watched an enormous Griffon vulture wheel overhead, and then two or three smaller Egyptian vultures on the far cliff face. The reason Gamla is known for its vultures is because the largest nesting colony of raptors is held on the rocky cliffs just north of the Gamla ridge. 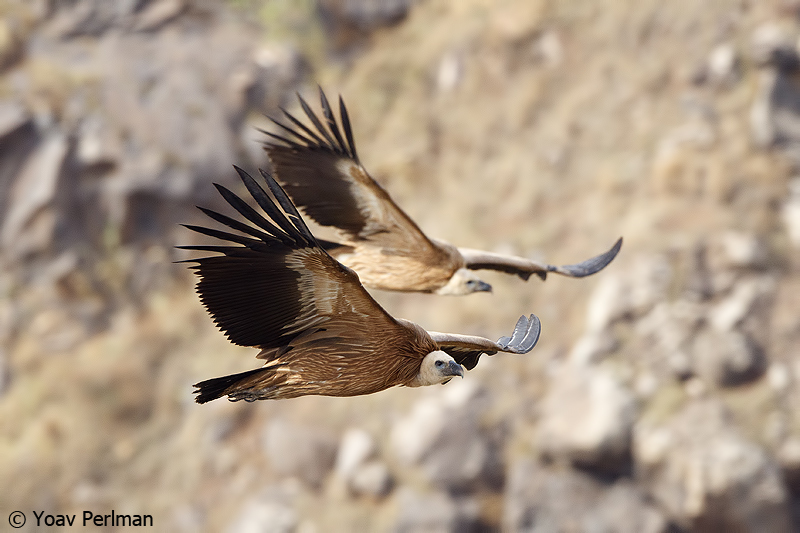 The Griffon vulture is truly a magnificent bird, with an enormous wingspan of up to 9 feet (2.8 metres) long. 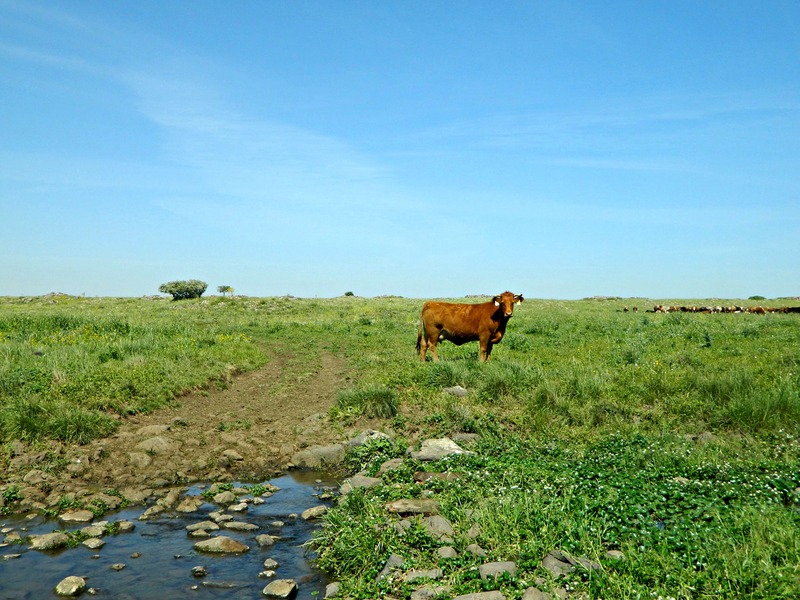 Although the population in Israel is quite low, just 25 pairs counted this year at Gamla so far, they are mentioned in the Bible some 28 times. I attempted to photograph both the Griffon and Egyptian vultures but my results weren’t too good so I turned to an expert, an ornithologist named Yoav Perlman who happens to take great bird photos; check out his birding blog here. With the vulture sightings at a low, we looped back to the end of the Vulture Trail and plotted our next destination: the Gamla Waterfall. Instead of hugging the cliff edge, as would seem most reasonable, we were taken on a longer path via a field – to protect the nesting raptors. At the start of this field walk we happened upon a fence which claimed to be electrified. I had a hard time believing they’d electrify a fence that didn’t seem to have any need. Touching it, I felt a friendly little zap – it’s always good to follow your instincts. After the electric fence, there was a large dolmen on the side of the trail. 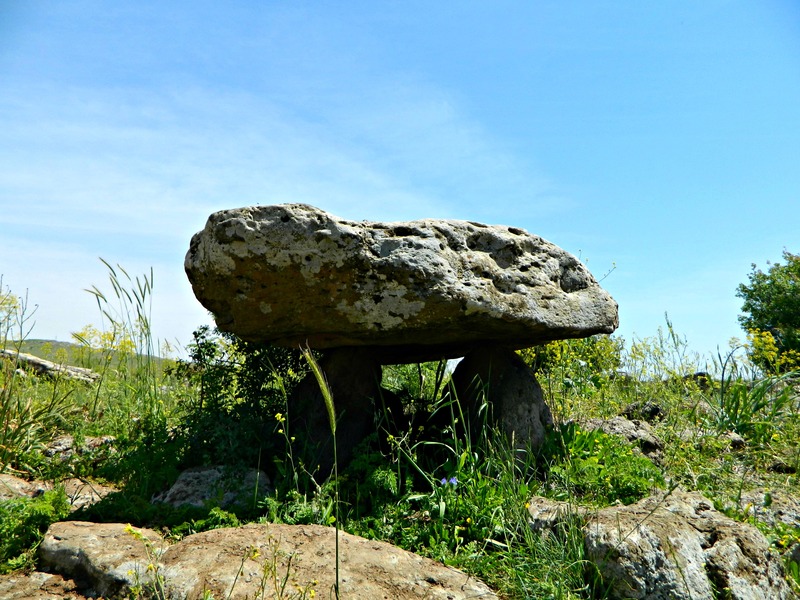 Dolmens are these weird rock tables, made up of one stone laid laterally upon two standing stones. Also known as portal graves, dolmens are assumed to be gravestones of sorts, however nobody really knows. What we do know is that they can be found all over the Old World; from Korea to Israel, from Somalia to France – they are truly all over. We reached the observation point and looked down at the waterfall. 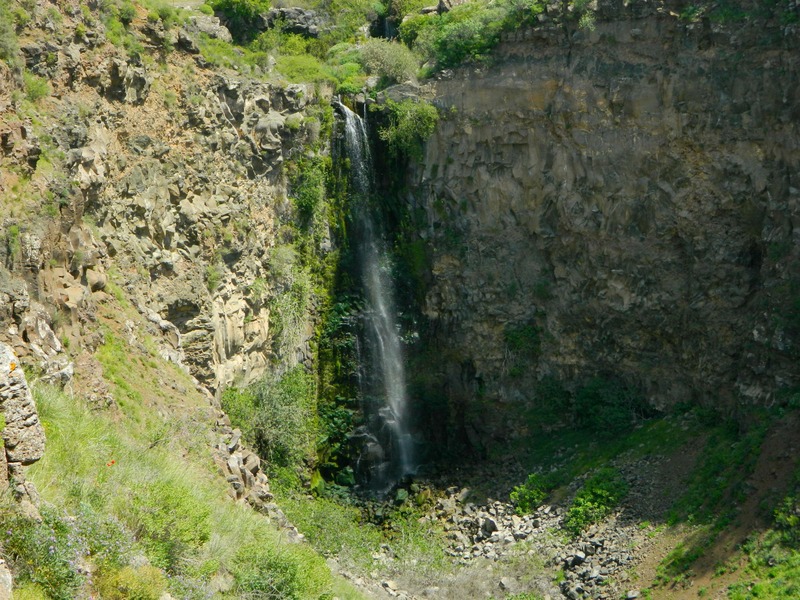 The Gamla Waterfall is the tallest waterfall in Israel, at the height of approximately 170 feet (51 metres). It would have been nice to descend and to stand beneath the crushing water, but that is forbidden so we turned back the way we came. 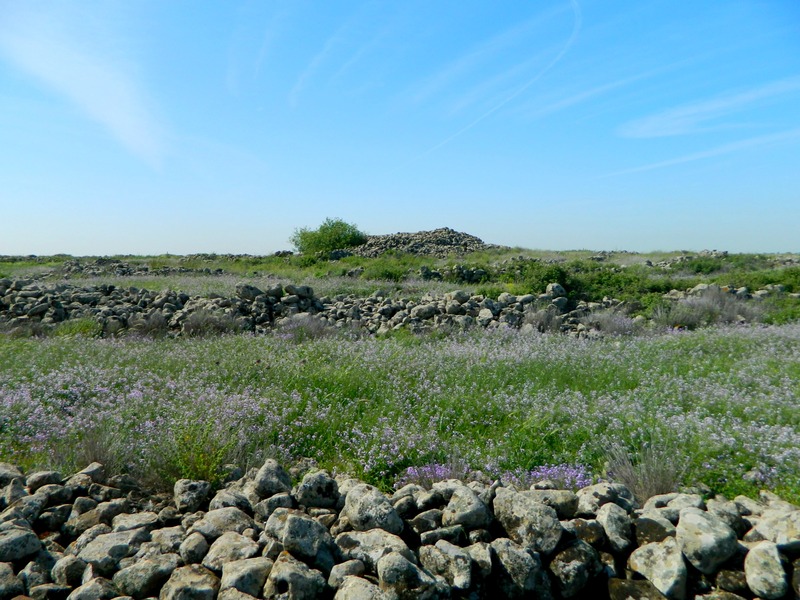 With a nice sunburn coming on we headed back to the car and headed home, but I still plan on revisiting Gamla to explore the ancient city ruins to write another blog post: Gamla II. 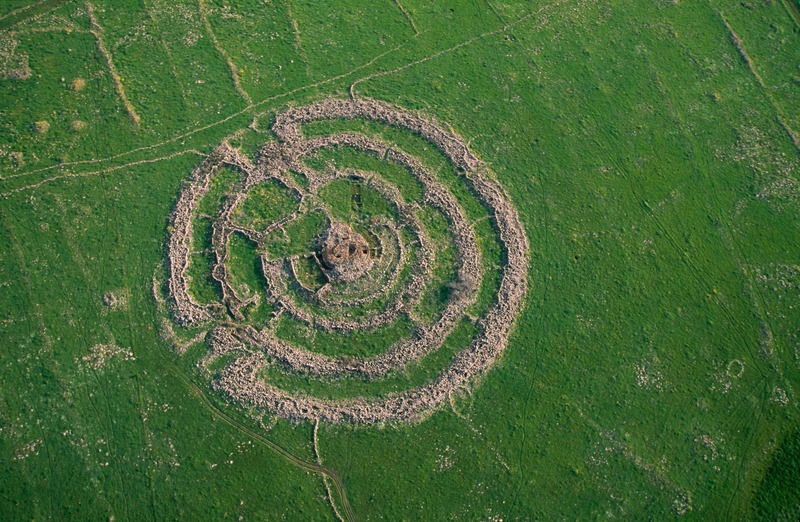 An obscure site at least a kilometre away from any paved road, this ancient megalithic monument has been in our sights for years. 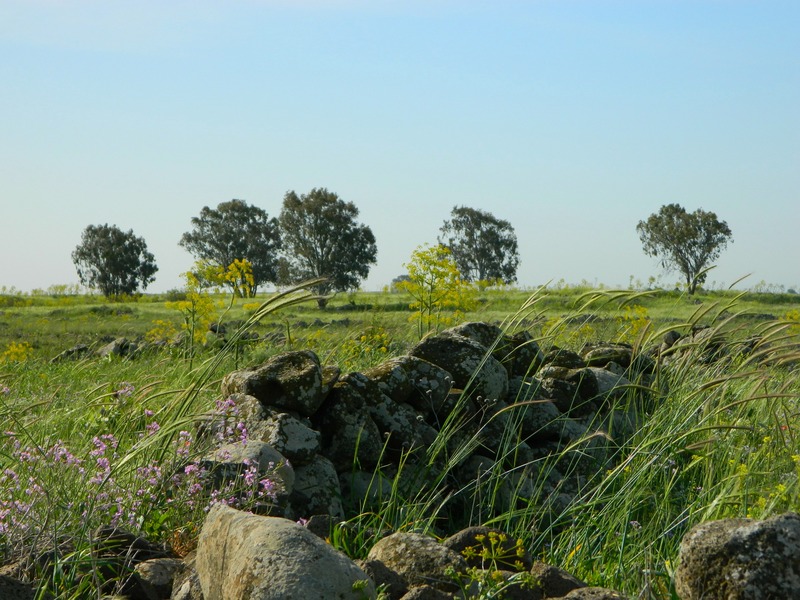 The last time we searched for it was a few years back and we basically got lost out in the plains of the Golan. This time we planned in advance and, thanks to Google Maps, we knew exactly where to go. 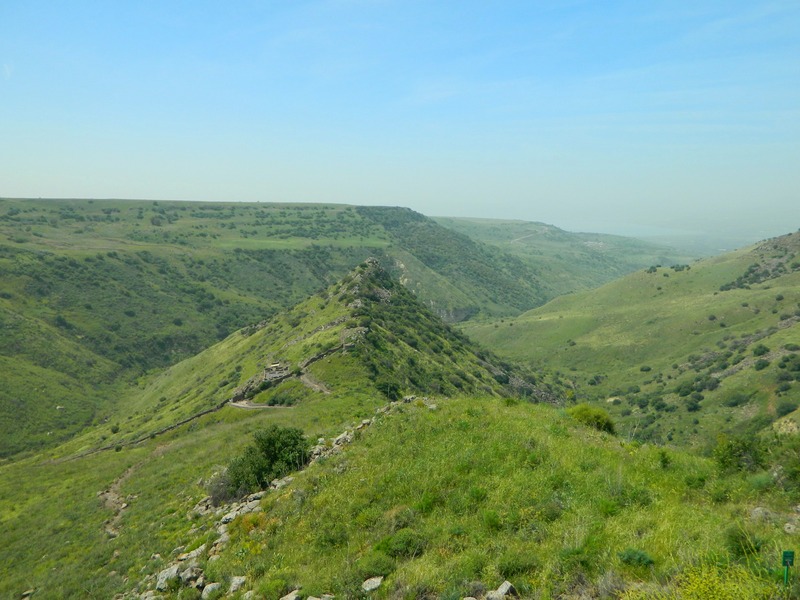 We left the house nice and early in the morning and reached the Golan in good time, climbing the elevation via the Bnot Yaakov Bridge, the main crossing point of the upper Jordan River throughout history. Driving on Road 808 south, we skipped the entrance to Gamla National Park (the second half of our trip) and pulled over at a little dirt road. 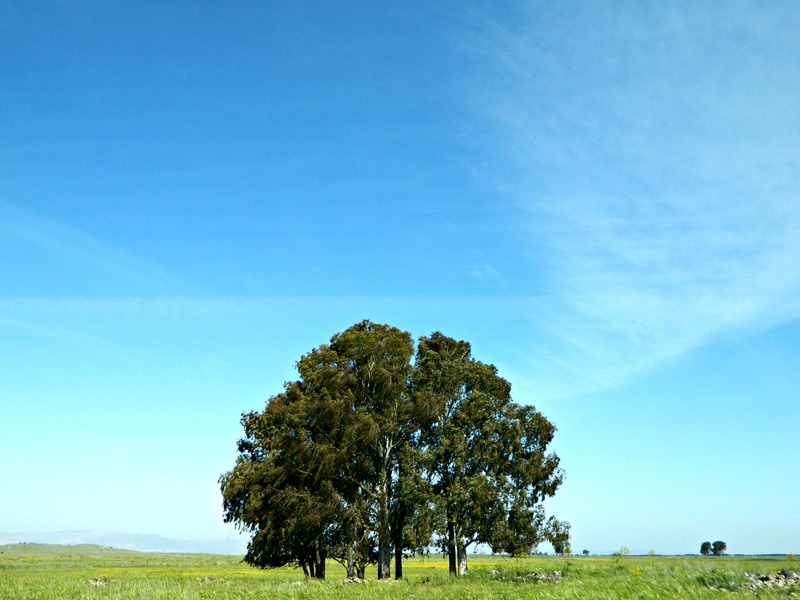 We parked and began the hike to the Gilgal Refa’im, noting the most beautiful spring scenery. 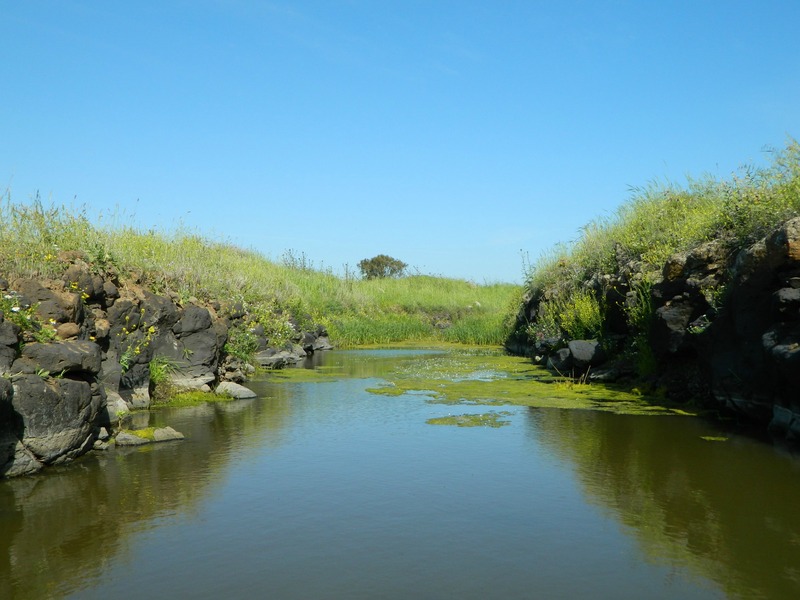 After a little while walking on the dirt road, stopping over and over to film and take pictures, we came upon a “hidden” trench-like spot lined with stones and currently filled with water. 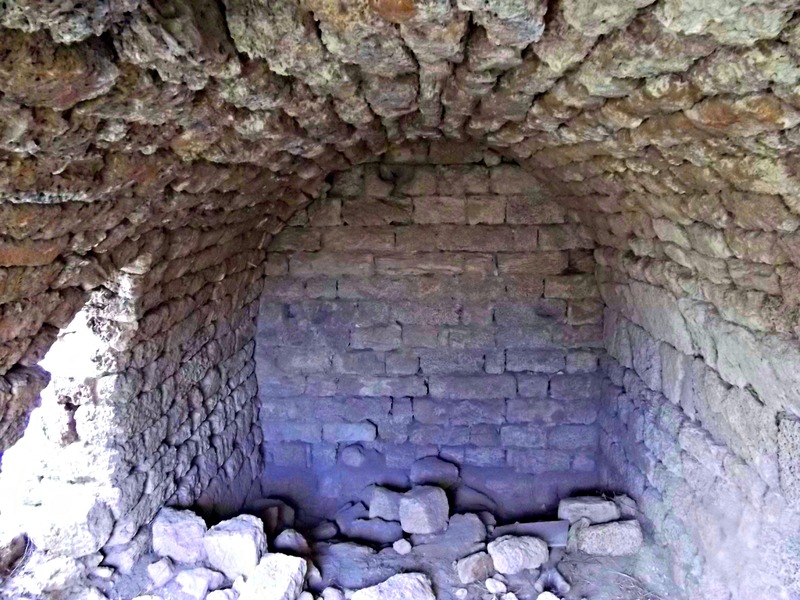 We surmised that it must be a place to hide tanks, from when the Syrians were entrenched in the area. And, to further solidify this theory, there was an old Syrian bunker just a little ways further. 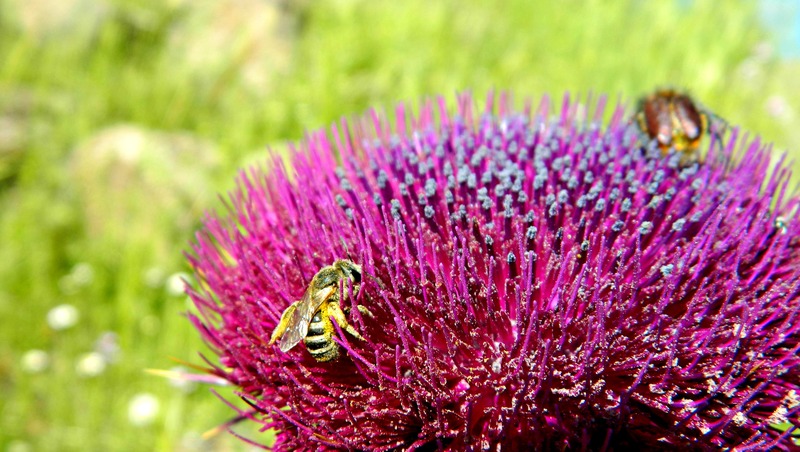 Beside this “tank trench” I spotted the most magnificent thistle flower, and on it was a bee and a weird bee-like beetle. The visibility of the pollen was amazing, feast your eyes! 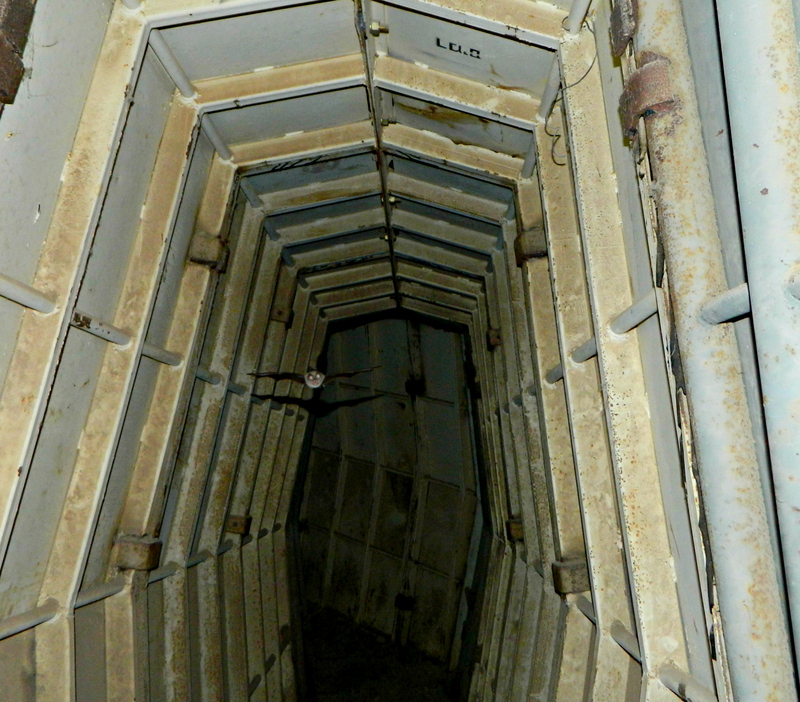 And, as I mentioned before, there was the Syrian bunker, made up of basalt rocks encaged in wire fencing. 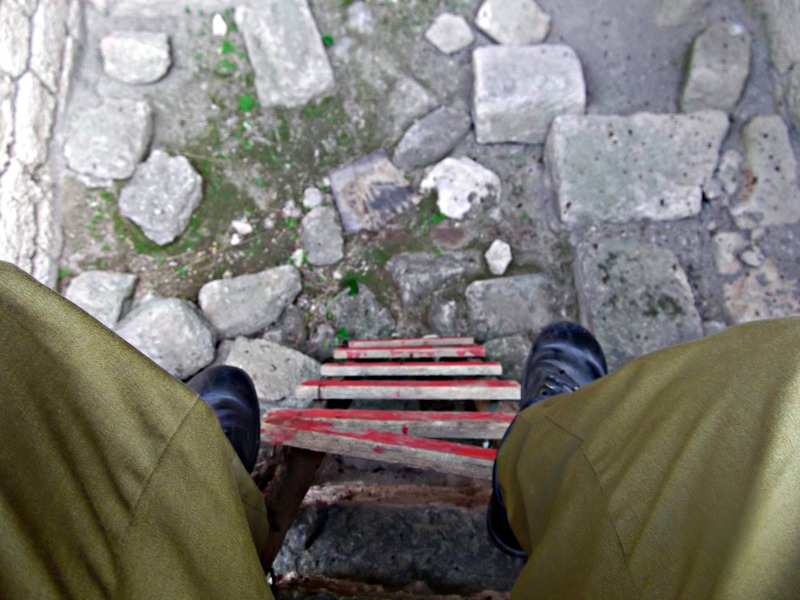 We walked up the trail and entered the old bunker. 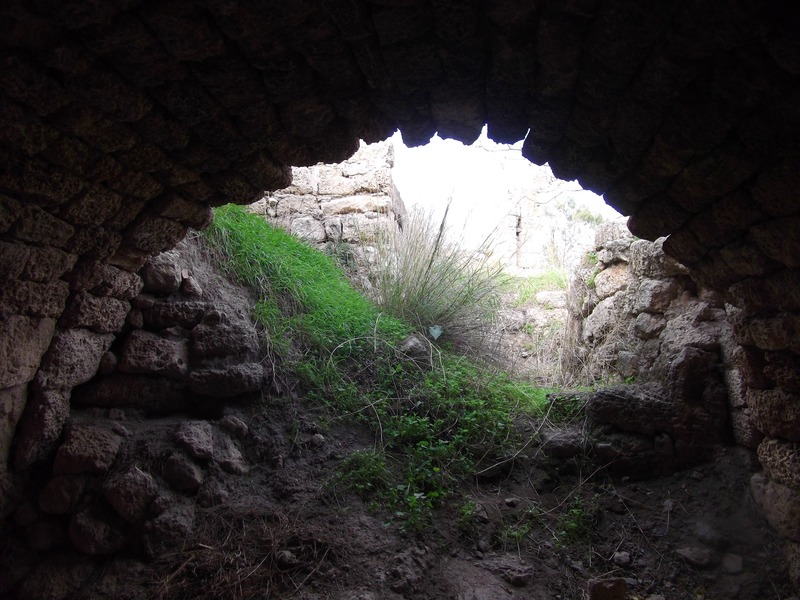 Descending from the bunker roof we hit the dirt road again and began to see signs warning soldiers not to shoot at the antiquities. And then, a turnoff and we were approaching the site. 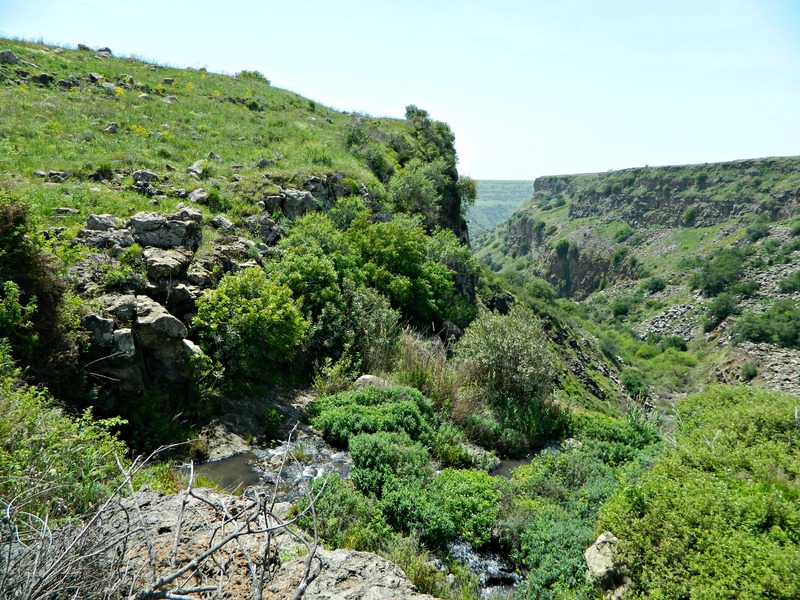 Not so visible from eye-level, we crossed the Daliyot Stream and found ourselves, at last, at the outer circle of Gilgal Refa’im. 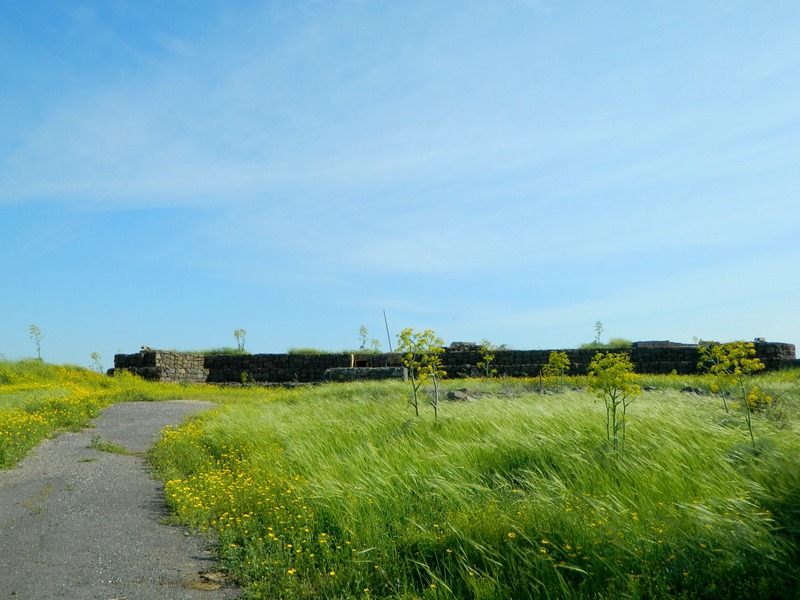 I climbed up to get a shot of the alternating stone walls and wildflowers that ringed the central mound. 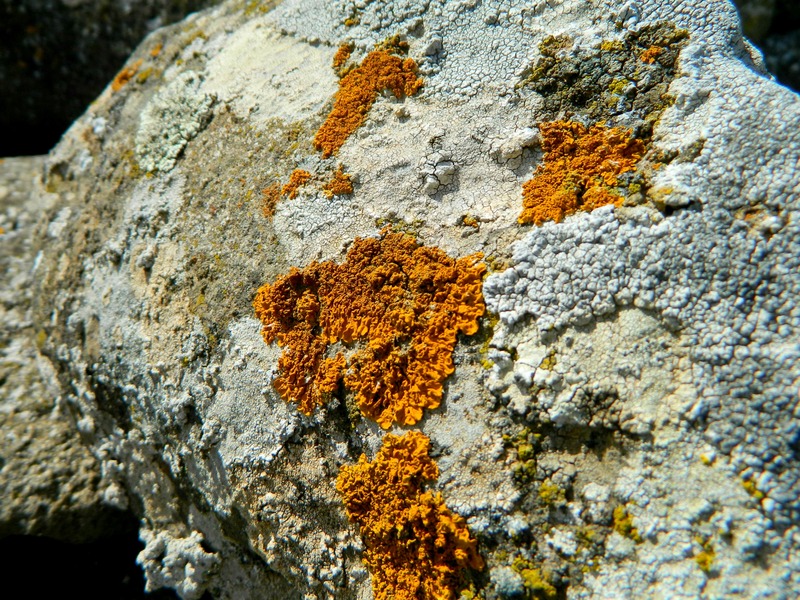 As we climbed the eight-foot high outer wall, and then the next wall, and the next, I noticed that the rocks were particularly ornamented by lichen, a great amount. At last we reached the fifteen-foot high central mound and noticed a pit in the stone pile, but we kept walking around the top, taking pictures of the cool circles which ringed us. 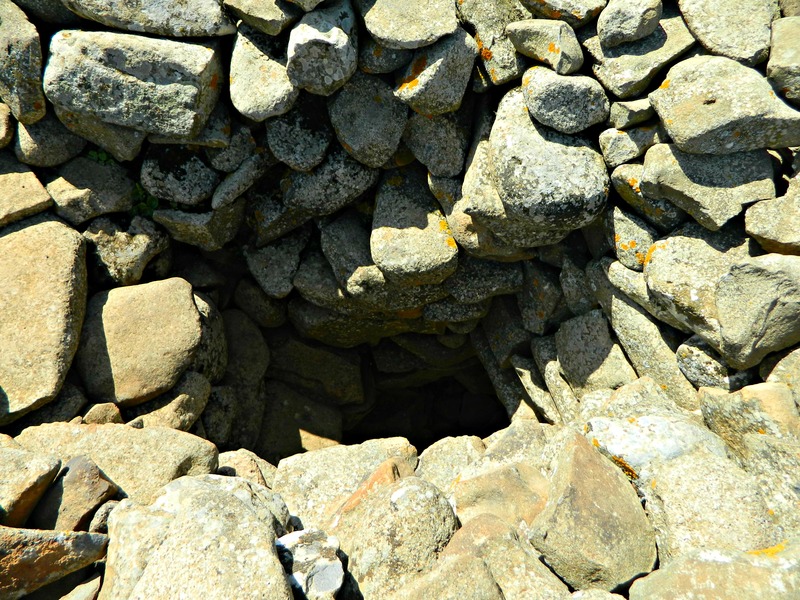 According to an Oxford archaeological guide, there are 42,000 stones that make up the entire site. 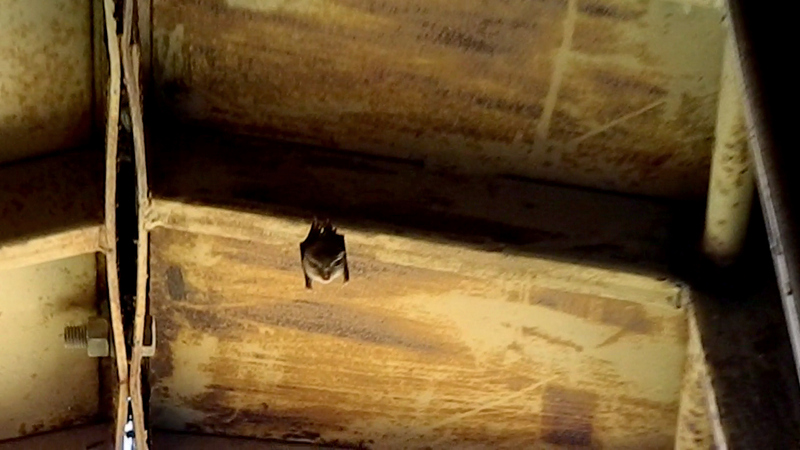 My father suddenly had the idea to step into the pit, and when he did so exclaimed that there was a cave down there. 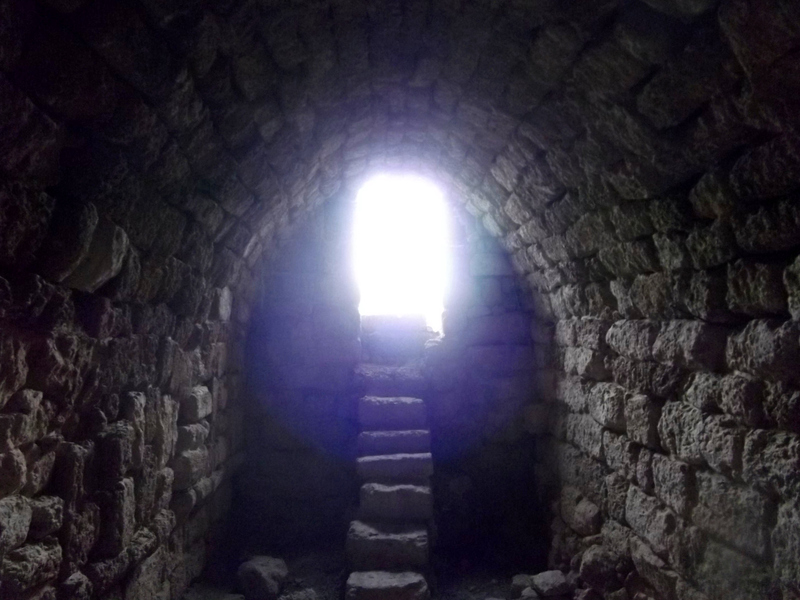 I followed him, scooting through the narrow passage, and we made ourselves comfortable in the little cave. Whilst enjoying the coolness of this little cave, I figured I should probably look for more info on the site and I found this: Gilgal Refa’im is believed to be either a tomb, a stellar calender, a ritual centre, an observatory or several other theorised places perhaps even created by biblical giants. Basically, nobody knows what this site is for and that definitely adds to the intrigue of the place. 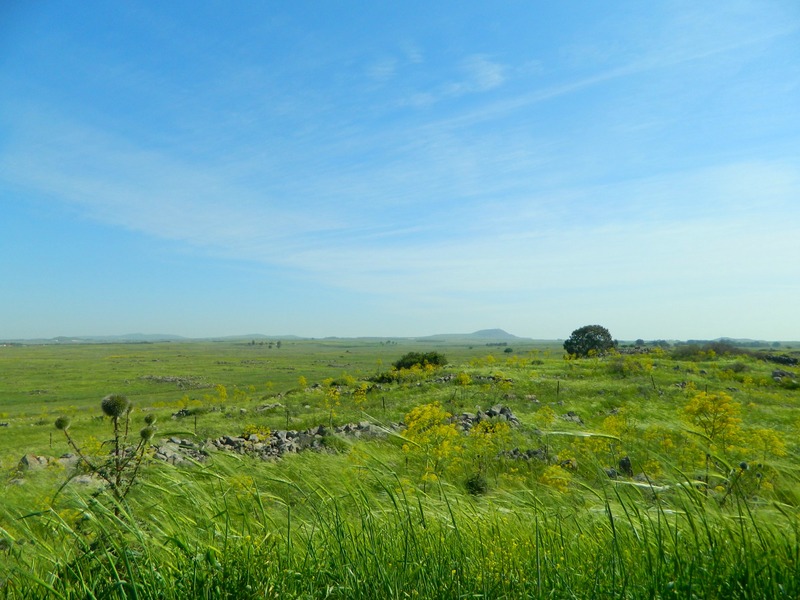 If there was one thing I could see in history, if very well might be watching the biblical giants in the Golan – the terrain is just perfect to see giants thundering down the plains. At last we left the comfort of the mysterious little cave and climbed back over the numerous stone rings, heading back to our car. 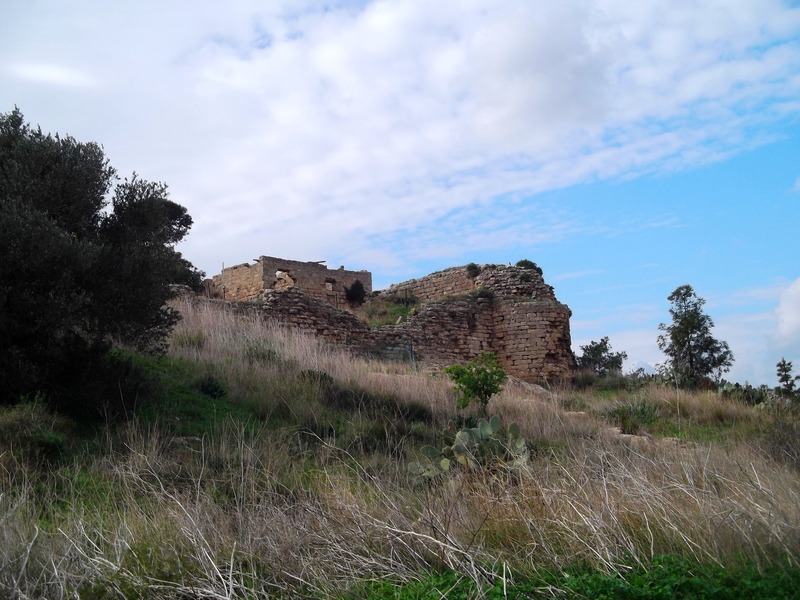 Continuing with my hike from Tel Dor, heading for the Crusader castle Cafarlet (also known as HaBonim Fortress), I first came upon interesting finds while on a hill alongside Road 2, the Coastal Road. Across from some memorial sculpture atop a precipice overlooking the road. I stumbled upon partially concealed remains of an ancient quarry, separated from the rest of the large quarry nearby. I’m assuming the Crusaders must have hewed stones from this sandstone quarry to build the nearby castles. Some half hour later, after crossing a little cemetery, I laid eyes on the eastern side of Cafarlet, the portion also visible to drivers on Road 2. 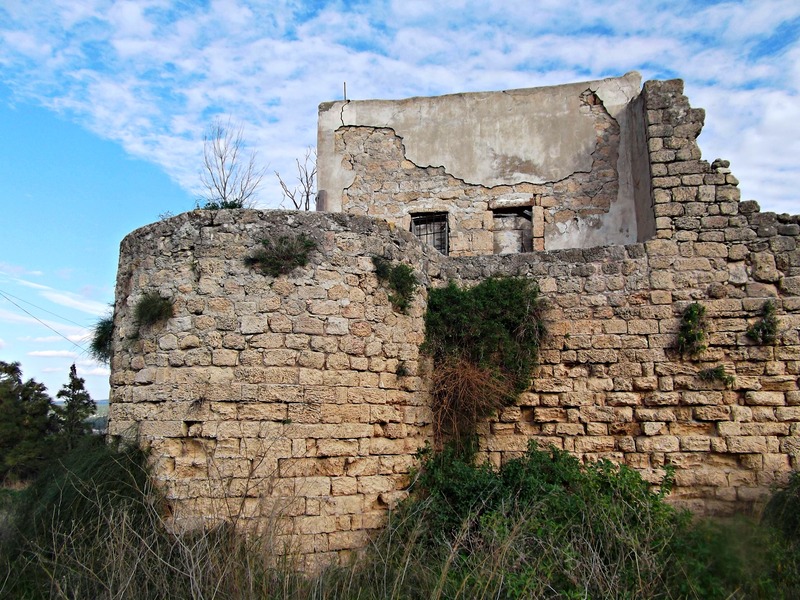 A little history about the castle itself, Cafarlet was built in the early 1200’s by the Crusader’s Principality of Caesarea and was then given, in a deal, to the Hospitaller Knights in 1213. The other leading Military Order of that time, the Templers, then purchased Cafarlet in 1232 and it remained in their hands until the castle’s capture by the Muslims in 1265. Following recapture by the Latin Christians, Cafarlet was built up again by the Templars and then finally abandoned in 1291 when the Crusades ended and the Crusaders returned to Europe. 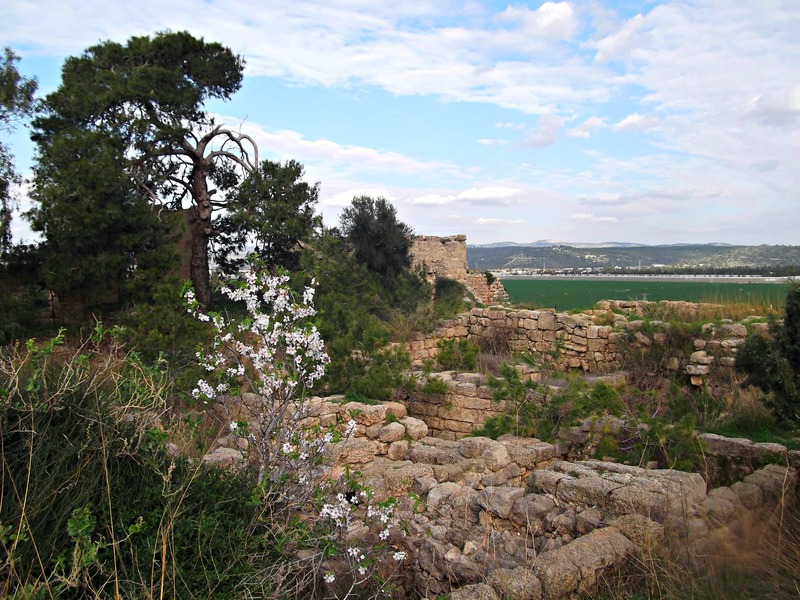 The Crusader castle, a slightly different build than the typical Latin fortress of its time, was built on the remains of an Arab fortress built in the 700’s built to protect from Byzantine invasion. Even in the time of the Crusades, the Byzantines were a regional superpower, and have been for hundreds of years. 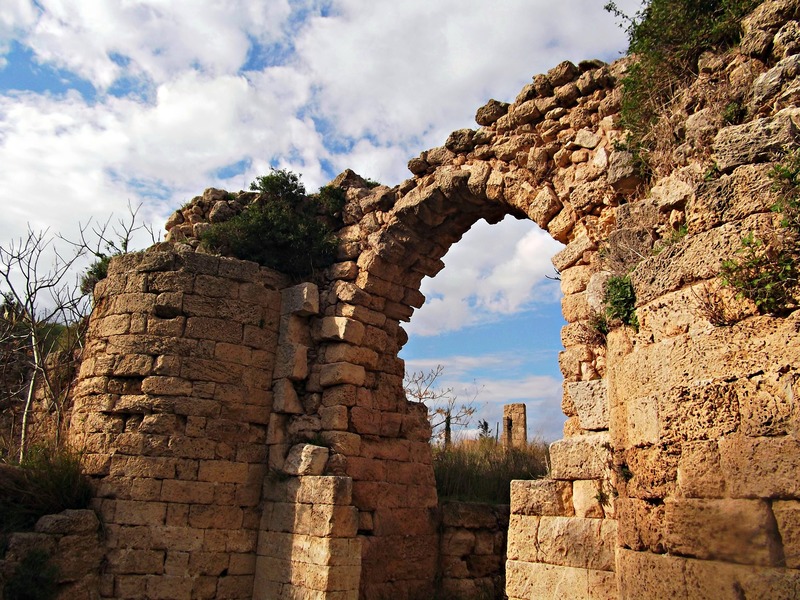 Cafarlet was built just a few kilometres from a slew of Crusaders castles (from Château Pèlerin and Le Destroit to the north to Merle and Caesarea to the south) which were strung along the coast, safeguarding the road for pilgrims in the Kingdom of Jerusalem. Approaching the castle I came upon numerous remains which seem to be from an even earlier Roman/Byzantine period of occupation. 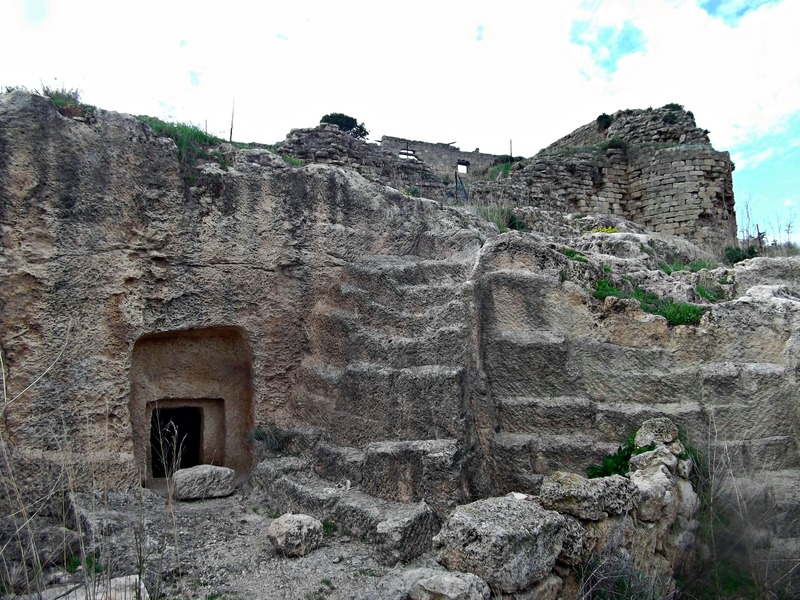 Here, at the foot of the castle, is a burial cave carved into the rock. 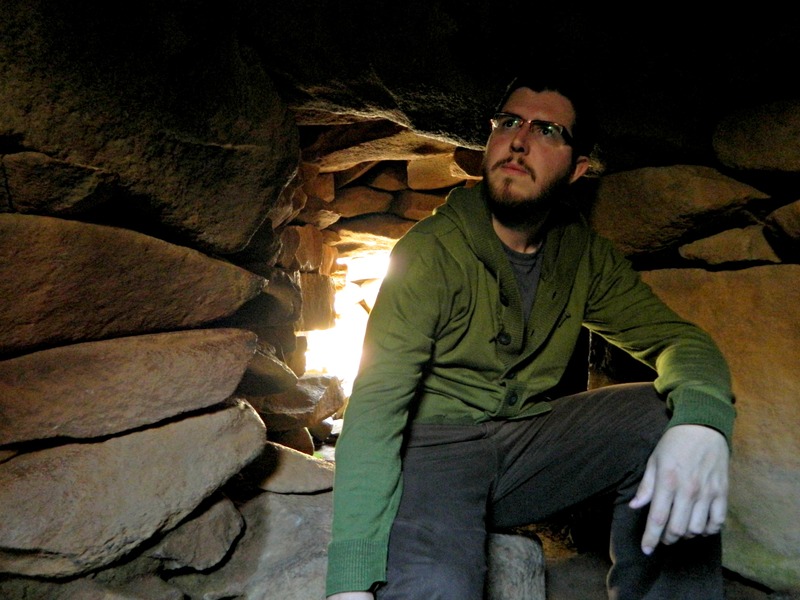 When I poked inside I discovered ten hewn crypts with their lids propped up. And then, I saw it, the grand arched entrance, flanked by rounded bastions, and in I went. With that I left the remarkable ruins of Cafarlet, crossing off yet another Crusader ruins on my to-see list and then briefly contemplated a quick visit to HaBonim Nature Reserve before deciding against it and walking the long, grueling journey to the bus stop on Road 4, putting an end to my long and interesting day of coastal exploration.